No…audio dramas definitely do not qualify under this…these are fan film guidelines. Had those guidelines been applied to audio dramas such as Star Trek: Henglaar, M.D., we would have had to shut down permanently. It simply would have gutted our ability to tell our long-form continuing story. We cannot rely on the visual effects or other trappings that video productions do. We are forced to focus on what has made Star Trek great for 50 years – telling stories of a hopeful future and the rich characters that inhabit it. In the wake of this news, we believe we can resume our operations as we had before – made by fans for fans. We have a 15-year legacy of our own to continue and intend to do so as best we can. Production will resume after the July 4th holiday. Details on production and release of HMD 2.03, “Internal Affairs, Part One” will be announced as soon as details are finalized. We are thankful to Paramount and CBS for recognizing the place that productions such as ours have in the fan content realm. We are also thankful to our fans who have shown their support over the days since we suspended production, awaiting answers. We hope to do you all proud in the months and years to come. 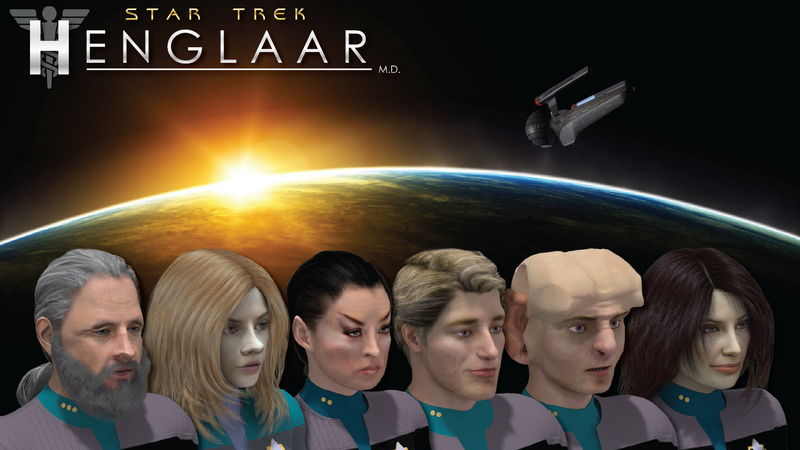 Executive Producer, Star Trek: Henglaar, M.D. I hope the additional clarification in the podcast that remastering of old content is not considered to be bound by these guidelines will allow the remastering of Hidden Frontier to also resume. It certainly appears to be the case. We’re awaiting word on the project.